Nursing beds, also known as profiling beds get their name due to the traditional nursing environment in which they are most prolifically used and the profiling frame that the mattress sits on. 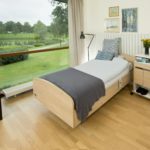 As the population is increasingly aging and the healthcare philosophy has changed to focus on supporting people with very complex needs to remain at home, the use of the nursing bed has become significantly more common within the home and other community settings. Nursing beds have a number of profiling features which generally include backrest, knee break, height adjust and Trendelenburg. The features will depend on whether the bed is 4 or 2 section, with the latter offering only height adjust and backrest features. Each feature has a specific use in its own right but is designed to support the user in conjunction with the other features available. This allows the user and/or carer to adjust the height of the bed using the handset. This is an important element of the nursing bed as either allows the user to maximise their independence during the bed transfer or allow carer(s) to make adjustments to maintain good posture during moving and handling of the user. 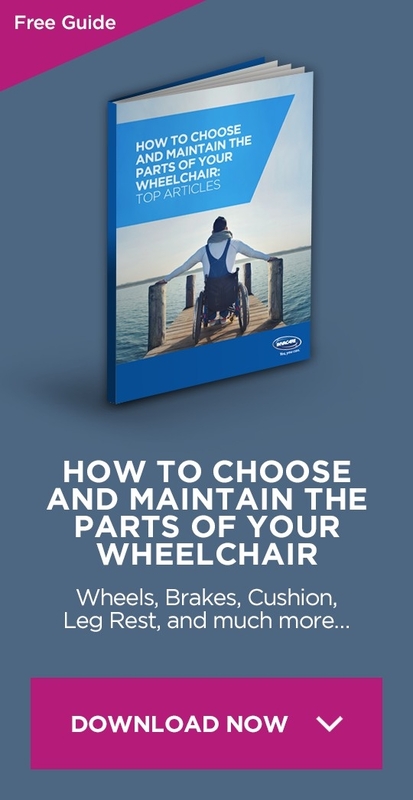 For example, to maintain/maximise independence the user may require a lowered height when swinging legs into bed but increased height to facilitate the sit to stand when leaving the bed. 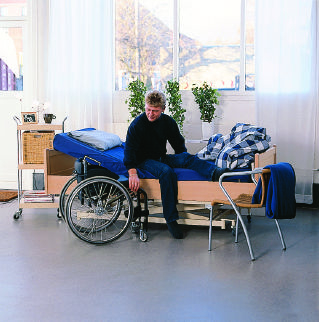 Carers using the bed can adjust based on task and demand, for example whether to aid bed based care giving or sling application. The backrest of a nursing bed is used as you would expect to help the user sit up with minimal to no effort. This can have multiple benefits including engagement in activity (reading, watching television), health and wellbeing, for example eating/drinking with reduced aspiration risks (there is also significant evidence that lying at 30 degree angle reduces rate of community acquired pneumonia as well as pressure damage occurring) and moving and handling (lie to sit can often be a heavy part of standing transfer from the bed). One of the common problems with the backrest is that as it rises it can push the user’s bottom down the bed, altering overall position. This is less problematic if able to independently reposition but generates more work for carers if support required with the task. This function allows for the thigh angle to be raised both for comfort, functional engagement & moving/handling. From perspective of comfort it, along with other functions allows the user to get into an upright sitting position with normal seat angles. This allows the user to engage in activity they would otherwise become isolated from. The raised thigh function is also critical to be used in conjunction with the backrest as the increase in angle stops the user’s bottom from being pushed down the bed whilst being sat up. This therefore minimises the need for carers to reposition the user. This is the ability to tilt the whole bed so that the feet are raised higher than the head. 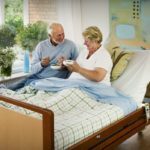 Although there are some medical reasons for this function within a healthcare setting the main use domestically is to help carers reposition the user up the bed. Nursing beds, along with the large selection of optional extras from full bed rails to grab handles, allow to fulfill health and wellbeing needs of the user and carers to be met whilst supporting functional independence.